Comments Golden rays of the morning sun bring hope and give a fresh lease of life. That radiance and energy of the morning is unmatched. However, nature decides differently when it bestows the gemstones with a fragment of its glory.http://youtu.be/jilR7sseWRUFeatured today is a premium natural unheated and treatment free Ceylon Yellow sapphire of 3.56 carats. 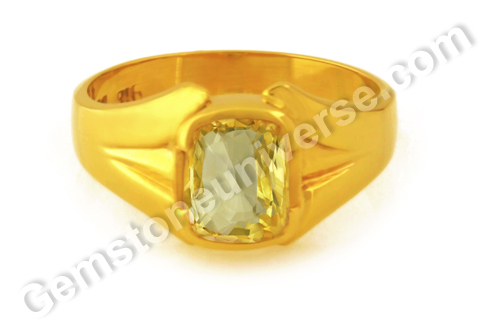 The cushion cut yellow sapphire with the coveted golden canary yellow color has excellent clarity and electric lustre. The natural Ceylon yellow sapphire has been set in 22-karat yellow gold as a Jupiter talisman ring. According to Vedic astrology, natural yellow sapphire also known as pukhraj/ pushyaraag is the gemstone of planet Jupiter/ Guru/ Brihaspati. It is the jyotish rashi ratna for the zodiac signs of Sagittarius and Pisces. The yellow sapphire is always set in the precious metal yellow gold befitting Brihaspati’s status as the mentor of the gods, the royal priest! Thursday is the day and yellow is the color that is attributed to Jupiter. 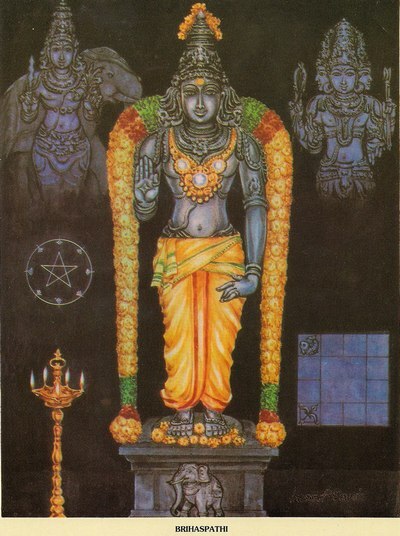 One can always see him draped in yellow/ golden finery in all representations. Offerings of yellow flowers are made to the deity. The symbolism of yellow color in Hinduism is rich and auspicious. 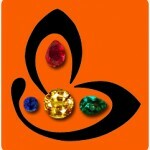 It symbolizes wisdom, intellectual and spiritual growth, heightened awareness and enlightenment. In all religious and auspicious ceremonies, turmeric is used to give the yellow color. To view the Yellow sapphire price and inventory, please click here.